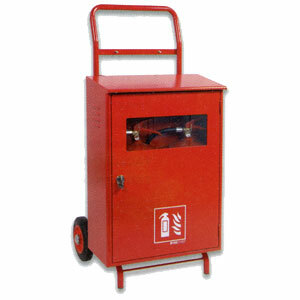 The metal cabinet trolley is ideal for construction sites or industrial areas where you want to protect your fire fighting extinguishers. Cabinet constructed of high specification galvanised steel. Double and triple cabinets available. See options. Choice of keylock or tamper evident seal closure. Cabinet carries a 10 year anti-corrosion warranty.